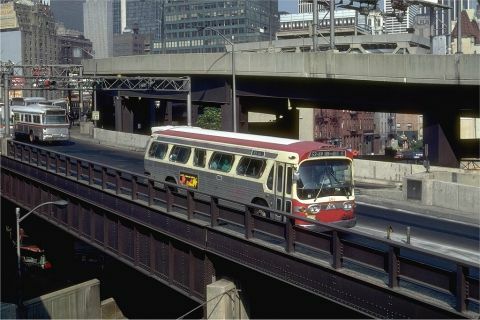 Home > New Jersey > New Jersey - Other Operators > Manhattan Transit & Westwood Transportation Co.
Westwood Transportation #249 at the Port Authority Bus Terminal. Photograph taken July 8, 1981 by Steve Zabel; collection of Joe Testagrose. Album name: ripta42 / Manhattan Transit & Westwood Transportation Co.